Here is the opportunity you've been waiting for! You won't want to miss this excellent value! This vehicle is a triumph, continuing to deliver top-notch execution in its segment! Top features include air conditioning, front bucket seats, remote keyless entry, and cruise control. Under the hood you'll find a 4 cylinder engine with more than 150 horsepower, and all wheel drive keeps this model firmly attached to the road surface. Our experienced sales staff is eager to share its knowledge and enthusiasm with you. We'd be happy to answer any questions that you may have. We are here to help you. This vehicle won't be on the lot long! A great vehicle and a great value! This model accommodates 5 passengers comfortably, and provides features such as: a trip computer, cruise control, and air conditioning. Under the hood you'll find a 4 cylinder engine with more than 150 horsepower, and all wheel drive keeps this model firmly attached to the road surface. Our experienced sales staff is eager to share its knowledge and enthusiasm with you. They'll work with you to find the right vehicle at a price you can afford. We are here to help you. Check out this 2019! Ensuring composure no matter the driving circumstances! The following features are included: adjustable headrests in all seating positions, tilt and telescoping steering wheel, and remote keyless entry. It features a standard transmission, all-wheel drive, and a 2 liter 4 cylinder engine. Our aim is to provide our customers with the best prices and service at all times. Please don't hesitate to give us a call. You won't want to miss this excellent value! A great vehicle and a great value! Subaru prioritized practicality, efficiency, and style by including: remote keyless entry, rear wipers, and much more. It features a standard transmission, all-wheel drive, and a 2 liter 4 cylinder engine. Our experienced sales staff is eager to share its knowledge and enthusiasm with you. We'd be happy to answer any questions that you may have. Stop in and take a test drive! This vehicle won't be on the lot long! Providing great efficiency and utility! The following features are included: tilt steering wheel, power door mirrors, and power windows. It features all-wheel drive versatility, an automatic transmission, and a 2 liter 4 cylinder engine. Our sales reps are knowledgeable and professional. They'll work with you to find the right vehicle at a price you can afford. We are here to help you. You won't want to miss this excellent value! Demonstrating exceptional versatility, affordability and earth friendly maturity! Subaru prioritized comfort and style by including: front bucket seats, power windows, and cruise control. Smooth gearshifts are achieved thanks to the 2 liter 4 cylinder engine, and all wheel drive keeps this model firmly attached to the road surface. You will have a pleasant shopping experience that is fun, informative, and never high pressured. Please don't hesitate to give us a call. Check out this 2019! Ensuring composure no matter the driving circumstances! This model accommodates 5 passengers comfortably, and provides features such as: telescoping steering wheel, cruise control, and power windows. It features all-wheel drive versatility, an automatic transmission, and a 2 liter 4 cylinder engine. You will have a pleasant shopping experience that is fun, informative, and never high pressured. Stop by our dealership or give us a call for more information. This vehicle won't be on the lot long! Comfortable and safe in any road condition! Top features include power windows, tilt steering wheel, power door mirrors, and remote keyless entry. Smooth gearshifts are achieved thanks to the 2 liter 4 cylinder engine, and all wheel drive keeps this model firmly attached to the road surface. Our experienced sales staff is eager to share its knowledge and enthusiasm with you. They'll work with you to find the right vehicle at a price you can afford. We are here to help you. Don't miss this great Subaru! You'll appreciate its safety and convenience features! Top features include air conditioning, front bucket seats, tilt and telescoping steering wheel, and more. It features an automatic transmission, all-wheel drive, and a 2 liter 4 cylinder engine. We have a skilled and knowledgeable sales staff with many years of experience satisfying our customers needs. They'll work with you to find the right vehicle at a price you can afford. Come on in and take a test drive! This vehicle won't be on the lot long! It offers great fuel economy and a broad set of features! Top features include a split folding rear seat, an overhead console, rear wipers, and air conditioning. It features an automatic transmission, all-wheel drive, and a 2 liter 4 cylinder engine. Our team is professional, and we offer a no-pressure environment. They'll work with you to find the right vehicle at a price you can afford. Call now to schedule a test drive. This Subaru won't be on the lot long! Providing great efficiency and utility! 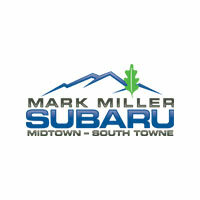 Subaru prioritized comfort and style by including: air conditioning, power windows, and much more. It features an automatic transmission, all-wheel drive, and a 2 liter 4 cylinder engine. Our experienced sales staff is eager to share its knowledge and enthusiasm with you. We'd be happy to answer any questions that you may have. We are here to help you. This vehicle won't be on the lot long! Providing great efficiency and utility! Subaru paid particular attention to efficiency and practicality with the following features: a rear window wiper, telescoping steering wheel, and more. It features all-wheel drive versatility, an automatic transmission, and a 2 liter 4 cylinder engine. Our sales reps are knowledgeable and professional. They'll work with you to find the right vehicle at a price you can afford. Call now to schedule a test drive. Check out this great value! You'll appreciate its safety and technology features! Top features include front bucket seats, air conditioning, tilt and telescoping steering wheel, and power windows. Under the hood you'll find a 4 cylinder engine with more than 150 horsepower, and for added security, dynamic Stability Control supplements the drivetrain. All wheel drive provides for safe passage, regardless of road or weather conditions. We have the vehicle you've been searching for at a price you can afford. Stop by our dealership or give us a call for more information. What a great deal on this 2019 Subaru! This car stands out from the crowd, boasting a diverse range of features and remarkable value! This model accommodates 5 passengers comfortably, and provides features such as: a tachometer, lane departure warning, and cruise control. Smooth gearshifts are achieved thanks to the 2 liter 4 cylinder engine, and for added security, dynamic Stability Control supplements the drivetrain. All wheel drive maintains traction at all four corners. We have a skilled and knowledgeable sales staff with many years of experience satisfying our customers needs. We'd be happy to answer any questions that you may have. Stop in and take a test drive! You won't want to miss this excellent value! Quite possibly the perfect car for you! Comfort and convenience were prioritized within, evidenced by amenities such as: a tachometer, lane departure warning, and a split folding rear seat. Smooth gearshifts are achieved thanks to the 2 liter 4 cylinder engine, and all wheel drive keeps this model firmly attached to the road surface. You will have a pleasant shopping experience that is fun, informative, and never high pressured. Please don't hesitate to give us a call. You won't want to miss this excellent value! It prioritizes style, powertrain versatility and safety in an exceptional sedan package! Subaru infused the interior with top shelf amenities, such as: lane departure warning, remote keyless entry, and a split folding rear seat. Smooth gearshifts are achieved thanks to the efficient 4 cylinder engine, and for added security, dynamic Stability Control supplements the drivetrain. All wheel drive maintains traction at all four corners. We have the vehicle you've been searching for at a price you can afford. Please don't hesitate to give us a call. This vehicle won't be on the lot long! It offers great fuel economy and a broad set of features! Subaru infused the interior with top shelf amenities, such as: adjustable headrests in all seating positions, lane departure warning, and remote keyless entry. Under the hood you'll find a 4 cylinder engine with more than 150 horsepower, and all wheel drive keeps this model firmly attached to the road surface. Our aim is to provide our customers with the best prices and service at all times. Please don't hesitate to give us a call. In a class by itself! This vehicle won't be on the lot long! Providing great efficiency and utility! Subaru prioritized fit and finish as evidenced by: power windows, remote keyless entry, and 1-touch window functionality. It features an automatic transmission, all-wheel drive, and a 2 liter 4 cylinder engine. Our sales reps are knowledgeable and professional. We'd be happy to answer any questions that you may have. We are here to help you. You won't want to miss this excellent value! Some vehicles just speak for themselves! Top features include a split folding rear seat, variably intermittent wipers, adjustable headrests in all seating positions, and remote keyless entry. Smooth gearshifts are achieved thanks to the 2 liter 4 cylinder engine, and all wheel drive keeps this model firmly attached to the road surface. You will have a pleasant shopping experience that is fun, informative, and never high pressured. Stop by our dealership or give us a call for more information.